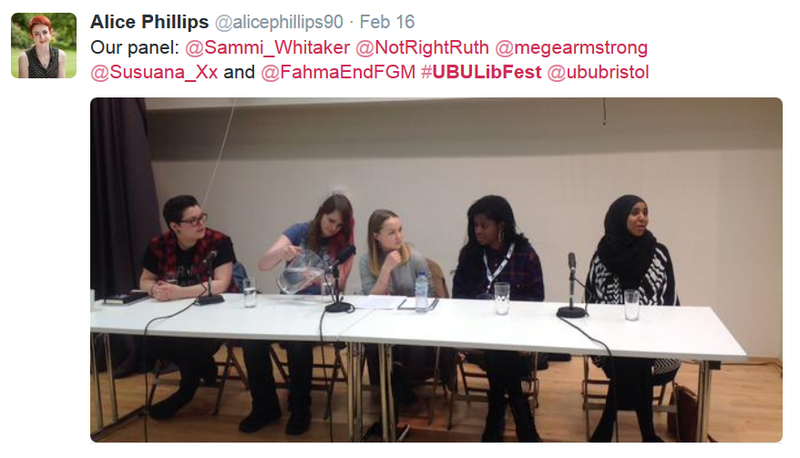 This entry was posted in Feminism and tagged ablism, academia, activism, AFem, Beatrix Campbell, Bristol, classism, disability, diversity, Fahma Mohamed, Femifest 2014, feminism, intersectionality, Islam, Judaism, Julie Bindel, NUS Women's Campaign, praxis, punk, queer, racism, Radfem 2013, Reclaim The Night, Revolt, riot grrrl, Rupert Read, Sammi Whitaker, sexism, suicide, Susuana Antubam, theory, toilets, trans inclusion, transphobia, UBU, Women's Aid, you're doing it right, you're doing it wrong. Bookmark the permalink. YES! I wrote something similar a couple of days ago, but not so in depth. I have hope that the young people getting involved in feminism now don’t even see intersectional feminism as a separate or new thing – it’s just how feminists should feminism. I suspect the Julie Bindells of the world are these days very much in a shrinking minority – their position doesn’t make sense any more – and it has no place in modern feminism. Thanks! Just read your post, it’s really lovely. Wonderful and inspiring. As a 30-something black female Londoner, I’ve only recently become much more outspoken about being black as well as being a woman. It is the beginning of an interesting journey.